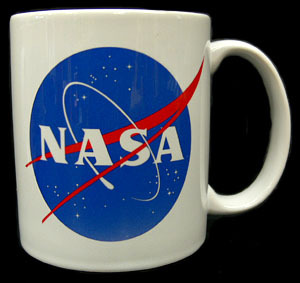 For those aerospace enthusiasts, we've got a nice looking NASA logo mug. Like all our mugs, this one is printed in full color, on a high gloss, 12 ounce ceramic coffee mug - dishwasher safe of course. Graphic appears on both sides of the mug.